Surprisingly, the 4.2 update landed with virtually no sign of change, save one. The RAW recommendation feature is now live, even if it's not the most exciting change. The RAW editor suggestions appeared in the v4.1 teardown. Now, if you are viewing a RAW image and tap the button to make edits, you'll see an Edit In card pop up. The top entry will be Photos, but it has a small line of warning to explain that it has limited support for RAW. This is followed by other image editors on the device, and then an entry at the bottom that links to a custom Play Store list containing more RAW editors. Despite bumping the major version number to 12, the latest update doesn't appear to have made any revolutionary changes to the look or experience in the Play Store. I'm inclined to assume the team simply prefered to carry the one rather than ship a v11.10. Nevertheless, there are still a couple of things of interest in the last two updates. Play Protect is effectively Google's version of a virus scanner for Android. Sideloading remains plenty common, and since there's a danger that malware-laden apps might be spreading, Google is raising the stakes to track down unsavory APKs. 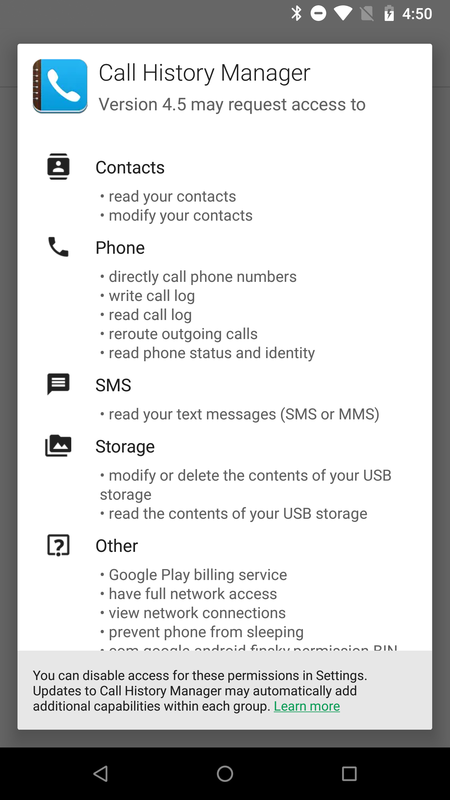 There's text for a new prompt asking users to submit unfamiliar apps to Play Protect for further scanning. 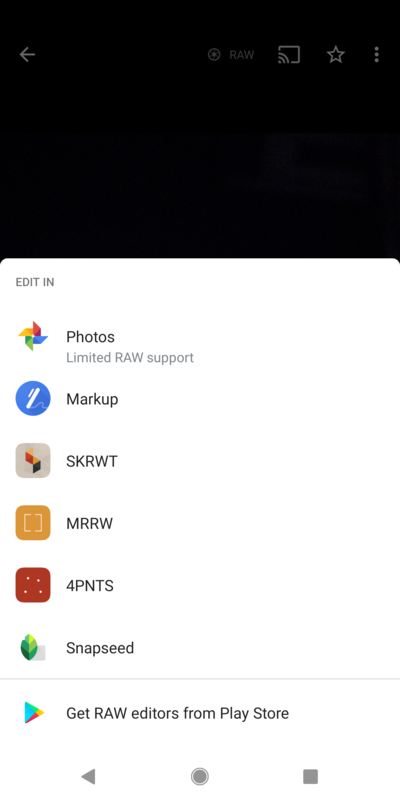 This doesn't read like a prompt for simply scanning apps locally, I'm pretty certain this is intended to transfer APKs back to Google for a more thorough analysis. In general, this is a pretty good thing, though I can imagine some degree of privacy concerns. I'm just curious if this will attempt to send back beta builds of apps that are handed out separately from the Play Store, or even just developer builds. 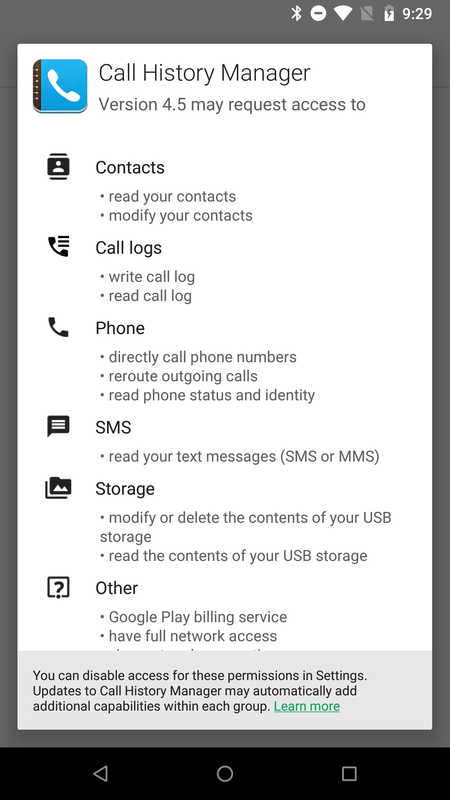 There is a very minor change the organization of permissions in v12. A new group for the Call Log was added, and naturally, read and write permissions were moved into it from the Phone group. 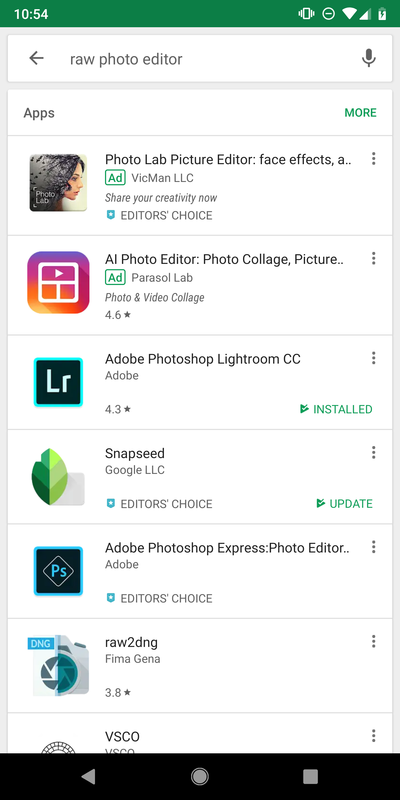 It looks like there may be a recommendation dialog popping up to recommend tablet-optimized apps if you already had them installed on other devices. Basically, the Play Store will look at the apps you already own and make them more visible if you are using a tablet or some other device with a larger screen (e.g. 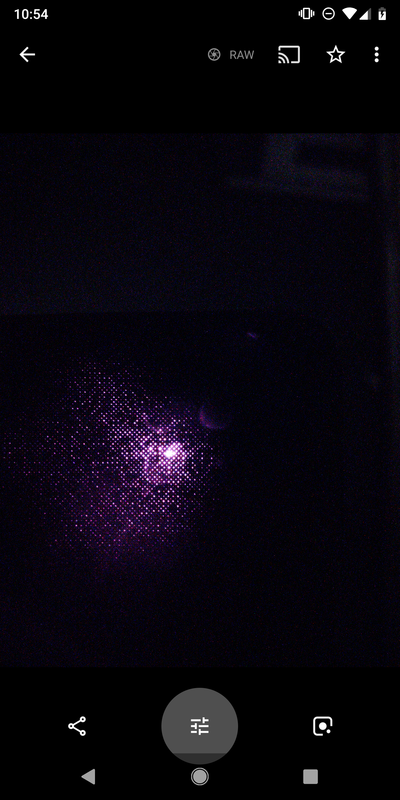 a Chromebook). With Inbox inevitably shutting down in the future, all eyes are on Gmail to be the one size fits all email app. 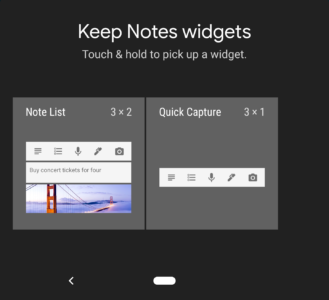 You're not going to find anything too significant in the last few updates, but there's at least one familiar feature preparing to make its mobile debut: Smart Compose. If you've used the web interface for Gmail in the last few months, you already know about Smart Compose. It basically tries to write emails for you. For fast typists, it might save you a couple of seconds from time to time, but it's great for anybody that has to hunt and peck at the keyboard. But think of how much more useful it would be on smartphones where the keyboard experience isn't wonderful for anybody. That will be happening... soon? There are a few lines for the setting that enables/disables Smart Compose. Judging by the location of the toggle, it seems likely that it will be enabled on a per-account basis. 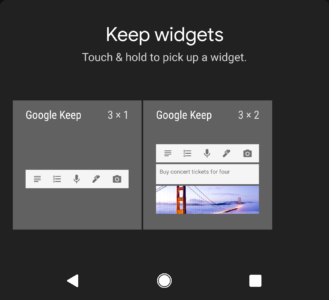 Google Keep used to title its widgets as just "Google Keep." The latest version has replaced that name with descriptive titles that actually mean something to the widgets. 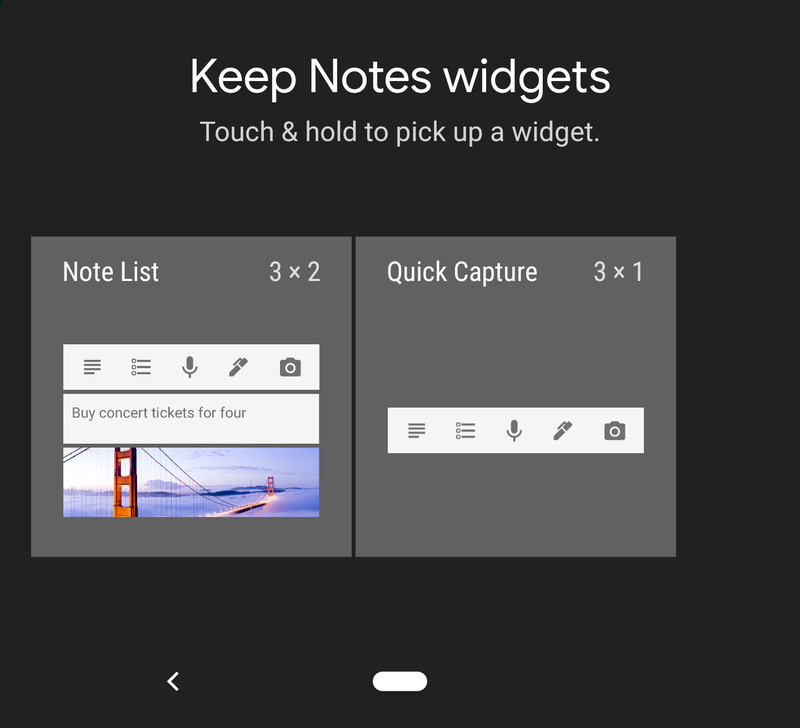 They are now called Note List and Quick Capture. The latest Google+ update continues a trend of adding quite a bit behind the scenes for what is obviously a major update to the social network. But unlike those last few releases, this one is promising a somewhat more mundane update to the moderation tools for communities. There's a very large number of new strings and other resources related to community moderation. The content below is largely centered around approving posts, banning members, and handling requests. Of course, these things already exist in the current interface, but such a large addition likely suggests the interface will be changing, hopefully to make it more streamlined and convenient to use on mobile. Google Pay updates have been relatively innocuous for the last few versions, but I want to slip them into an Update Notes post to get caught up. There are a few things worth checking out. I can't say that I've ever heard of it, but it looks like support for Thomas Transit is in the plans. Now that Google Pay and Google Pay Send (formerly Google Wallet) are fully merged, it's time for new features. Now there appears to be a QR code money transfer in development that would allow users to send money to each other by just scanning a code on the other person's phone. No real details are exposed beyond the fact that this is peer-to-peer and not a way to make payments at businesses. Aside from that, it's not really clear if there are limits to how much can be sent, to whom, and if there are any other terms. Alright, this name has been plaguing me for the better part of a year. I've been aware of the "thermo" name roughly since December, and a few weeks ago I thought there was enough to at least begin discussing it, but it wasn't until the v2.75 update that I got the one clue that finally explained what it actually is. In short, it's a South Korean payment method that appears to be useful for both purchases and mass transit. This was finally explained thanks to the presence of the South Korean word for Won on a line that mentions a fee for switching cards. Google Pay is expanding to cover more financial scenarios, and one that's on the list is a discount for people that are under a certain age. The interface asks for a birth date, but otherwise doesn't explain how or if any meaningful verifications are taking place.